At a time when drug costs are skyrocketing and Americans are demanding relief, President Trump’s nominee to be the chief regulator of Big Pharma and medical device makers says he initially must sidestep a lot of oversight of the industry because his deep ties to it might cause conflicts of interest. 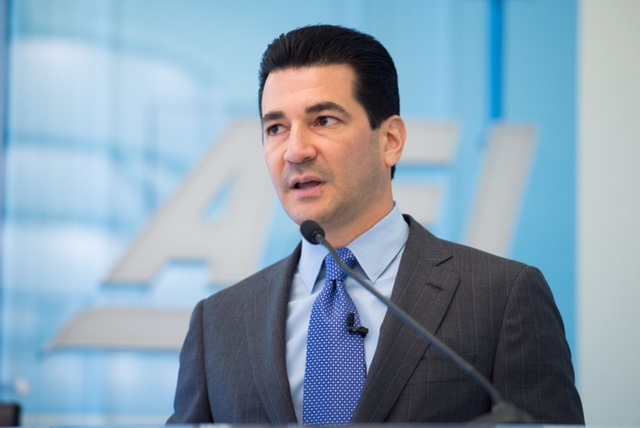 Scott Gottlieb made his ethics disclosure as he gets set for congressional vetting of his appointment as head of the federal Food and Drug Administration. Critics question if Gottlieb, a physician, is too cozy to crack down on excesses in an industry in which he has worked for most of his career and that has paid him millions of dollars. He has pledged to speed up FDA drug and medical device reviews, and to slash the agency’s bureaucracy and red tape. But for at least a year he will recuse himself from matters affecting 20 companies he has worked for, invested in, or had other financial relationships with. He has consulted for giants like GlaxoSmithKline and Bristol-Myers Squibb, as well as Vertex Pharmaceuticals, a firm with two approved cystic fibrosis drugs. He’s acting chief executive of Cell Biotherapy, a cancer-fighting biotech firm he helped found. He says he will remove himself from decisions on all companies he received pay from, including: six he held a financial interest in while at New Enterprise Associates; health care providers or lab testing companies overseen by the Centers for Medicare and Medicaid Services; and biotech start-ups he invested in via T.R. Winston & Co., a merchant bank. He has disclosed making more than $3 million in 2016 and up to March 1, including $1.85 million from T.R. Winston and $280,000 for consulting for New Enterprise. He’s also a scholar at the American Enterprise Institute, a conservative think tank, and has been a prolific writer and public speaker criticizing the FDA. Gottlieb’s industry ties have gotten him in hot water before, during his earlier stint as an FDA deputy in the Bush Administration. He had consulted for Roche and Sanofi, both vaccine makers, and was forced to recuse himself during an avian flu outbreak in which inoculations were a policy option. Though he insisted he was learning the workings of the sprawling agency, now with more than 16,000 staffers, the then-33-year-old administrator was accused of meddling in and politicizing the FDA. His proponents say his industry and agency experience and knowledge will make him a more effective FDA chief, and, indeed, his appointment relieved many in the federal bureaucracies and the sector. That’s because, as I have written, Trump publicly considered other candidates who were Silicon Valley venture capitalists with minimal experience in health care, medicine, Big Pharma, or medical device manufacturing. A top adviser pushed these prospects, arguing the FDA needed disruptive leadership. Though Trump has bellowed that Big Pharma “gets away with murder” in its pricing, he has backed off taking on drug makers after meeting industry CEOs, and he has yet to take any concrete steps on medication prices—some of the leading drivers of the nation’s rising costs for medical services. Instead, as I’ve noted, the U.S. Government Accountability Office (GAO) and Maryland and New York lawmakers may be routes to rein in drug prices. Meantime, Big Pharma keeps rolling out products with sky-high prices. Genetech has just won FDA approval for Ocrevus, which the company says shows promise in treating severe, relapsing multiple sclerosis. The long-awaited drug will carry a list price of $65,000 a year, though that will be less than the $85,000 annual cost of a Rebif, a current and now inferior drug to treat MS. Regeneron says it recently won the FDA OK for Dupixent, a medication for extreme cases of the skin allergy eczema. It will carry a list price of $37,000 a year, again lower than skin disease medications now on the market, including Humira and Enbrel. Those drugs are among the nation’s most popular and carry list prices near $50,000 annually. Big Pharma is watching closely to see how Rebig and Duprixent perform on markets, as well as what occurs now with sales after the release of a big, new study on Repatha, a cholesterol fighting heart drug with a $14,000 a year list price. Besides watching makers, critics and consumer advocates also increasingly are focusing on middle-men in Big Pharma, notably the pharmacy benefit managers. They got a deep dive in a recent notable magazine article. In my practice, I see the huge damage that dangerous drugs can cause, as well as the pain and economic hardship that patients may confront when harmed while seeking medical services. With medical costs rising due in part to unceasing increases in drug prices, and with medical debt a major part of why so many Americans must declare bankruptcy, Americans need politicians, policy-makers, regulators, and legislators to get Big Pharma to get a grip up its rapacious charges.